A walking tour through the picturesque town of Steyning. 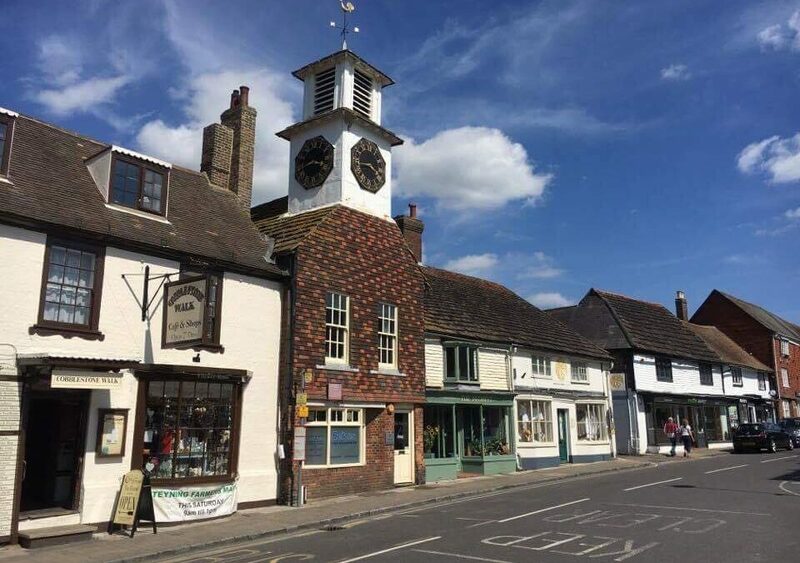 Established by the time of the Saxon saint, St. Cuthman, Steyning was once an economic powerhouse of the early Middle Ages. We hear about the town’s significance, and what role it played in William the Conqueror’s decision to invade England in 1066! We enjoy the historic buildings and hear how this once harbour town’s fortunes changed with the silting up of the River Adur, as it was left high and dry! The tour will starts by the statue opposite St. Andrew’s and St. Cuthman’s church, Vicarage Lane, Steyning (BN44 3YL). We will finish on the High Street (BN44 3RD). The tour lasts for 1 hour and 40 minutes (approximately). The level of walking involved is gentle; the route is slightly undulating and covers approximately 2 kms/ just over a mile.